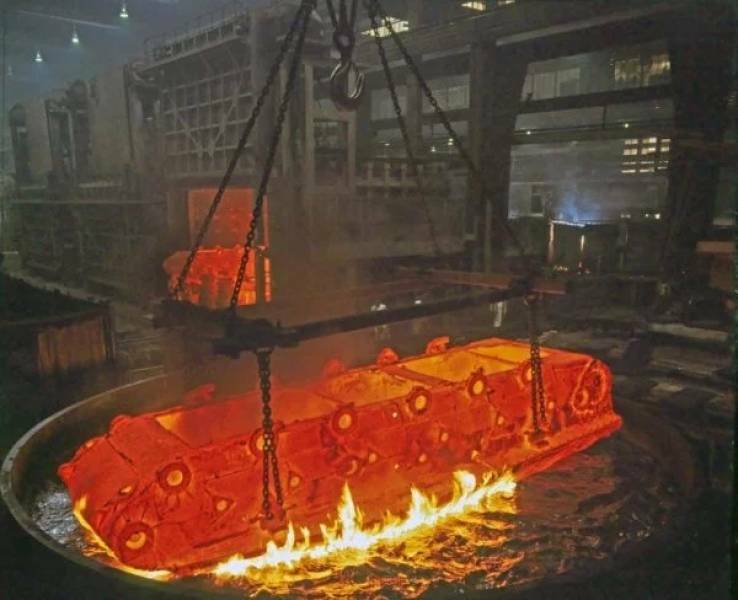 The hull of a tank being cooled in China — who knew how much was one big piece!? 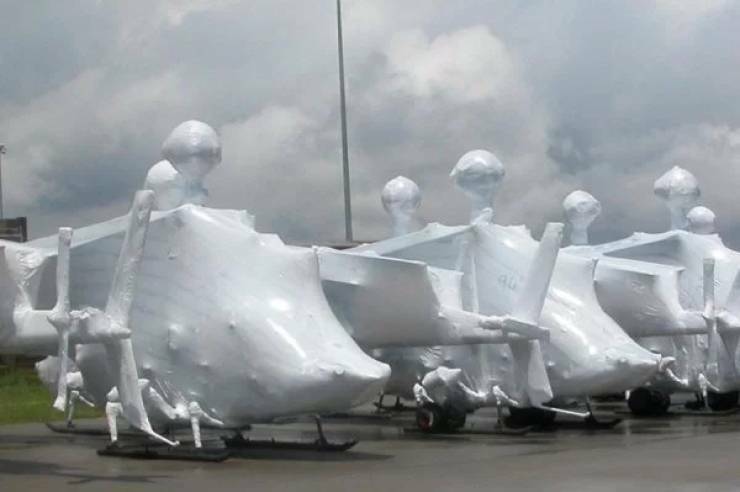 Helicopters are shrink-wrapped before being transported. The coolest trophy stand ever belongs to Battle Bots. Maypole Machine braiding really, really long ropes that are used to moor offshore manufacturing facilities to the bottom of the ocean. Pen that won’t clip to your pocket while open.